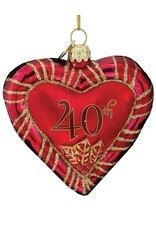 Noble Gems™ Red Blown Glass 40th Anniversary Heart Ornament. Size: 3.5 inches. These Noble Gems™ anniversary heart ornaments are an elegant addition to any holiday decor or anniversary gift! 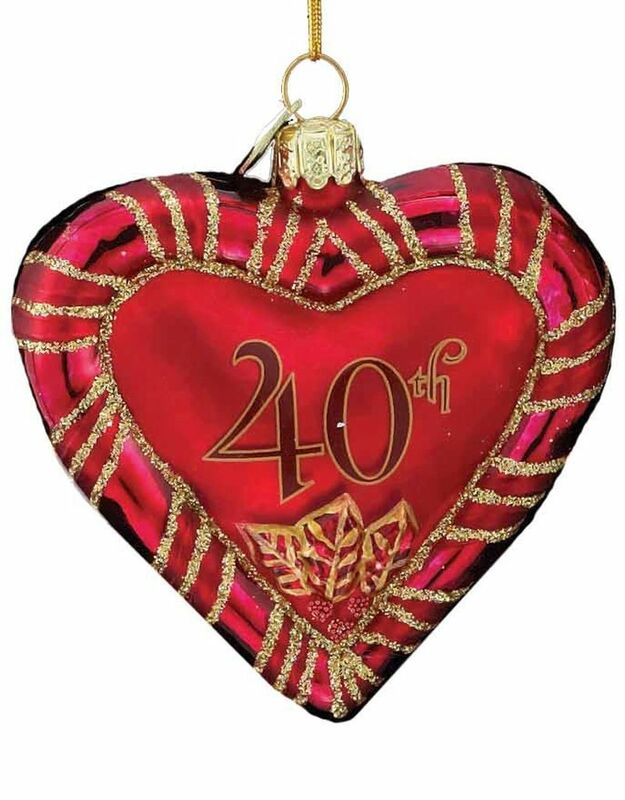 Theses ornaments feature a either a red heart with - 40th - written on it. Wedding Anniversary Love and Hearts Themed Christmas Ornaments Decoration and Decor By Kurt Adler available and in-stock now online or In-store at the Digs N Gifts Christmas Store.